That is a beautiful poem, Chris! For a wonderful couple. That's really lovely, Chris. Thanks for sharing. 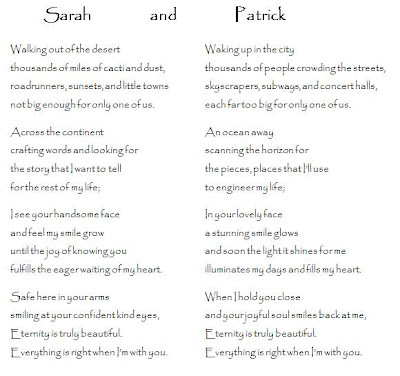 Sarah and Patrick make a great couple. And you are a great poet! 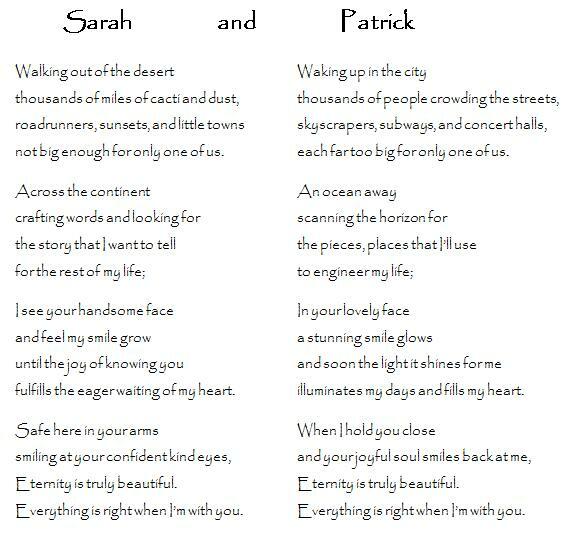 Thank you for the beautiful poem. We came across it as we were going through the basket of cards, and yours really stood out. We read it right then and we love it!